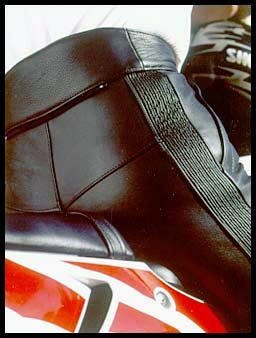 Elasticised leather panel from waist to knee for flex in riding position. Foam padded knees. Extra soft leather behind knees to avoid bunch up. Adjustable waist closure. 2 zippered pockets. Padded kidney area. Zip at back to attach jacket.